Keywords: Digital currencies, Bitcoin, virtual currency, crypto-currencies, Tor. In our increasingly technology-reliant world, almost everything is developing an online presence. In some cases, the online identity takes on its own set of rules and requirements – and even lexicon. This is certainly the case for digital currencies, which are both similar to and, in some ways, completely different from “traditional” money. In June 2014, the Australian Financial Action Task Force (FATF) produced a report which examined the key strategic risks and areas of concern facing Australia in relation to increased use of digital currencies, including Bitcoin. 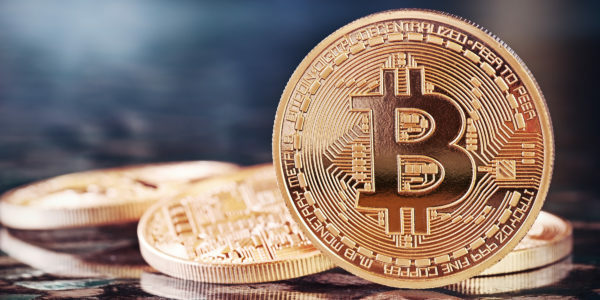 In the Virtual Currencies: Key Definitions and Potential Anti-Money Laundering and Counter-Terrorist Financing Risks report, a number of key terms related to digital currencies are defined and explained. As the name suggests, virtual currency is a purely online financial construct which can be traded digitally. Crucially, virtual currency is not considered to be legal tender, and is not tied to any jurisdiction, meaning that it is technically a lawless concept – in that there is nobody policing or enforcing its use apart from members of the online community trading in the currency. A digital form of fiat currency which is utilised to send “real” money. This can interchangeably refer to e-money or virtual currency. Also known as “open virtual currency.” This has a “real world” actual value and can therefore be transferred from virtual currency into fiat currency and back. The best known example of this type of currency is Bitcoin. Also known as “closed virtual currency.” This cannot be converted into real currencies and is designed for use in an exclusively online community, such as on Amazon or in virtual “worlds” such as World of Warcraft. All non-convertible virtual currencies are centralised. They are issued by a central authority which sets the rules governing the use of the currency, generally the administrator of the online community for which the currency has been created. The role of the administrator is to issue the currency, determine how long it remains in circulation, and maintain a payment ledger. In relation to convertible currencies, this means that the value of the currency is determined according to market forces of supply and demand. For convertible currencies, a set value determined by the administrator and determined by reference to a fiat currency or other “real” criterion such as gold bullion. Also known as “crypto-currencies.” These are issued with no central authority and are not monitored by any individual or organisation, and include Bitcoin. These are known as crypto-currencies because the system is “protected” from corruption and abuse by cryptography. This means that every time the currency is to be transferred, a key must be provided which allows the transfer to be cryptographically signed. The original (and best known) decentralised convertible virtual currency and the first cryptocurrency. It is set up by randomised strings of numbers and letters constituting units of the currency, and can be transferred into all fiat and virtual currencies. It’s popular because of a high degree of theoretical (but not absolute) anonymity for users and easy access by anybody prepared to download the free software. Any decentralised convertible virtual currency which is not Bitcoin. A tool which obscures the source of a Bitcoin transaction to anonymise the users. Also known as a “laundry service” or a “tumbler.” This effectively launders transfers so that it is near impossible to determine the original source of a transfer of Bitcoin. Tor is frequently utilised by those with nefarious intentions. Tor is an underground network of computers which conceals IP addresses via complicated encryptions in order to hide the identities of users. Another tool designed to ensure Bitcoin anonymity by a combination of mixers, crowd funding platforms, decentralised marketplaces and decentralised trading. A “wallet” for Bitcoin which is being stored offline, in order to protect it from hacking and theft. As the name suggests, the opposite of cold storage – a Bitcoin wallet held online. An online bartering system which is reliant on a locally created currency to determine the units of value. An individual or business engaged in the transfer of virtual currencies into fiat currencies or vice versa for a commission. This glossary of terms is far from exhaustive, although it is intended to provide a basic explanation of how digital currencies and Bitcoin function. As digital currencies continue to develop and grow, so too will the lexicon of relevant words and phrases.